2 Only a few steps for surprise surprise!! You all have shopped groceries at local “supermarket” like Walmart, Sam’s Club, Target, Costco, etc., right? I have too, and recently we have been shopping at local Kroger stores for majority of our grocery and pharmacy needs. 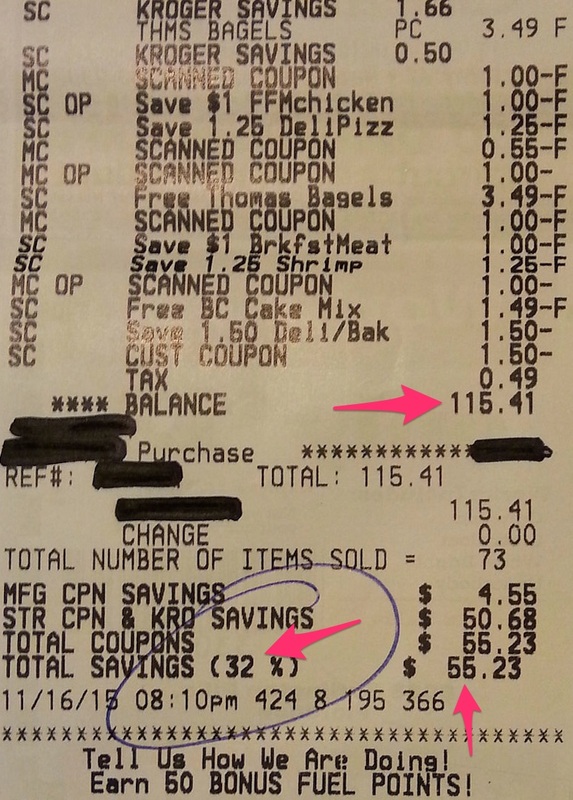 In this article, let me show you “how to save” constantly (above 30% of total bill) on Kroger purchases so you don’t have to be constantly hungry!! 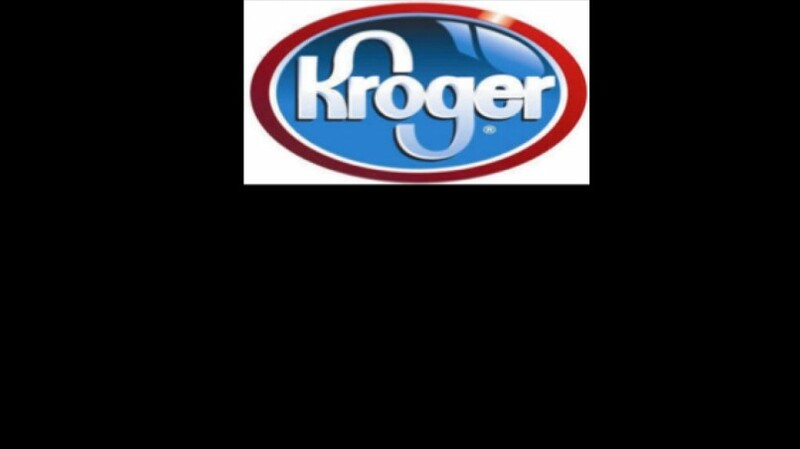 Make sure to check out the rest of Kroger series here!! Only a few steps for surprise surprise!! You are all busy people and you don’t want to change a lot of your “grocery” habits. 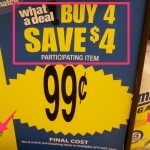 So we will only follow a few steps below for “how to change” your habits to save more at Kroger! See, the point here is that you want to know “how to minimize” time doing all these steps to maximize saving, and these steps don’t take much time!! I sure am because this story could provide a win-win situation for all!! I have a fairly good size family, and we try to save as much on our basic needs. We have shopped at all the above places. Sure, other places have reasonable prices for most of our needs. 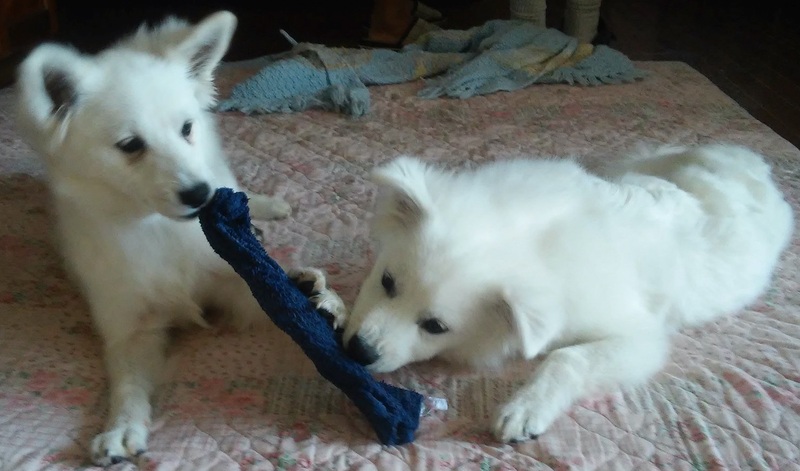 About 5 months ago, we bought two beautiful American Eski puppies. After we met them, we just couldn’t resist not to get them. If you think about it, keeping a dog (in our case, two of them!!!) is a serous business. Dogs require foods/treats (duh…), medications (for heart warm, ticks, etc. ), surgeries (like spay/neuter), other accessaries like leash, poop bags, shampoos, toys, backyard fences, oh my god, the list continues! I almost flipped over when I saw how pricy “bully sticks” were, but our puppies love them, so we end up getting them. Anyhow, the point is things could get expensive having dogs. As such, we started to look more into how else “WE” could save on our own groceries, and we believe we have come up with THE ULTIMATE SECRET that can constantly save over 30% on the final grocery bills. This does NOT include any gas point nor any other recent phone app rebates. Let’s go through the potential difference result saving first so that you can determine whether this is worth doing and worth your time. The table on the side shows the above receipt details. When we shop, we are usually only interested in the values that I have put arrows in the graphic and the table actually lists the values. Our plan is to target above 30% on the “TOTAL SAVINGS” section EVERY TIME you shop. 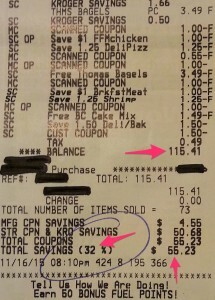 Oh, don’t forget the amount saved here is nearly $55 for one shopping. We usually go to shopping once a week, so that would be $55 X 4 = $220 per month saving. That could be a surprise surprise $2,640 saving in a year!! You could almost take a vacation with this! Sure, there are certain assumptions built in this calculation that we are doing a simple assumption calculation like you save the same amount every time which is usually NOT the case. It could be more or less. That would depend on your shopping habits. BUT!!! 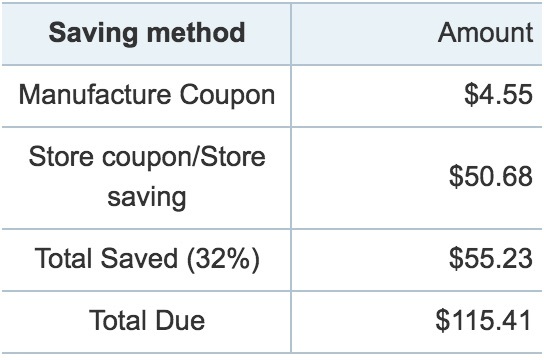 The “TOTAL SAVINGS” percentage of 32% is a relative term based on the total amount. As such, that is a good number to compare for EVERY shopping! Continue to Part II of these secrets!